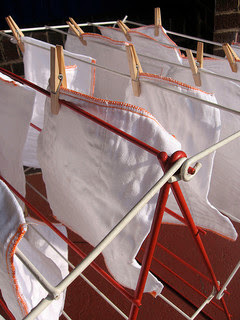 Always dry your cloth diapers outside in the sun. The white diapers come inside snowy white, deodorized, and smelling so fresh. Then just throw the diapers into the dryer for 10 minutes to fluff. Eliminates the need for bleach!